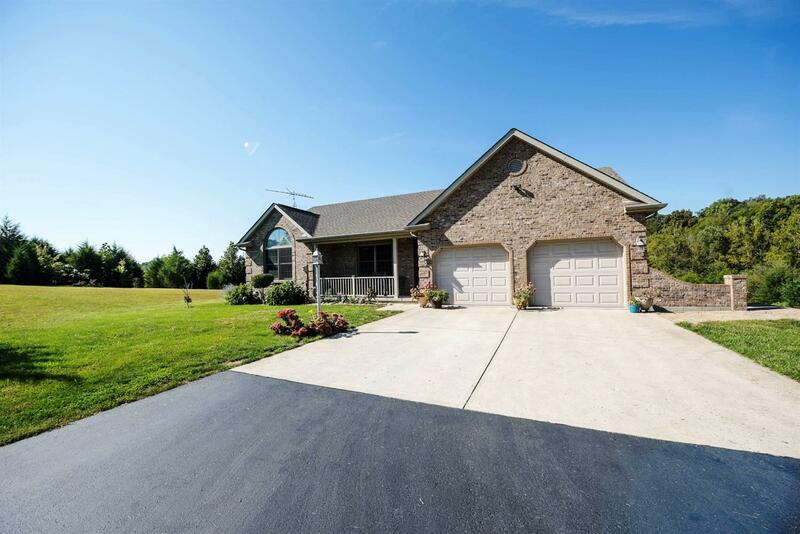 Beautiful, well-maintained 3 bd, 3 ba home sitting on 10+ acres! Open concept w/cathedral clng; hickory ktchn cabinets, desk & island; 1st flr laundry. Nicely finished walkout LL that w/ lrg family rm w/gas frpl & mud room. Well-kept landscaping; invisible fence. Add'l garage & lrg storage area. Property borders Ripley Crk. Only 6 mi to Batesville.